It is one of the welthiest areas as far as the biodiversity is concerned . It is the natural habitat of a number of rare species and is one of the exotic places. There are a lot of wildlife sanctuaries in Chattisgarh among which mention can be made of the Gomarda Wildlife Sanctuary, Chattisgarh. Gomarda Wildlife Sanctuary in Chattisgarh in India located in the Raigarh district. It is situated near Sarangarh. There are a lot of hilly terrains in the region. Spread over 275 sq km it is one of the ideal destination for the adventure seekers. 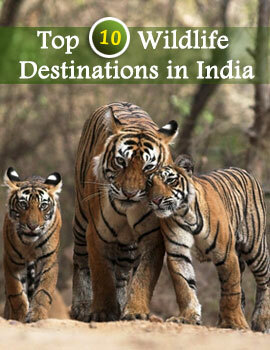 Gomarda Wildlife Sanctuary, Chattisgarh has different varities of wild animals. Some of the common species that are spotted are different types of dears. Some of them are the spotted dear and Chinkara . Tourists visit the place to see wild buffalos who move in flocks and make for a pretty sight. If you are lucky then you can also get a glimse of the Hill Myna. Tigers are Leopards are also sighted here however they are rarely visible. Gomarda Wildlife Sanctuary is the abode of other species like the Nilgiri, Sambars, Gaurs, Barking Deer, Chausingha,, Muntjac, Sloth Bear, Wild Boar, Dhole or the wild dog and the Jackel. A varied species of birds are also to be found at the Gomarda Wildlife Sanctuary Madhya Pradesh. Some of the varieties are Wood Peacock, Jungle Fowls, Green Pigeon, Quails, Gray Partriges, Parrots and Storks. For those who have a lot of interest in birds it is one of the places to explore. Migratory birds also visit this place. Gomarda Wildlife Sanctuary, Chattisgarh is reachable from all the corners. There are a lot of good hotels which offer state of the art facilties. 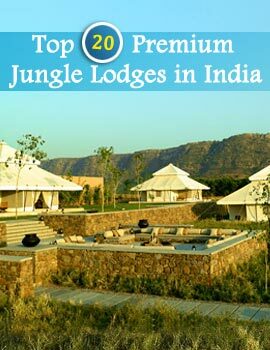 It is really an experience to be in the wild life santuary.